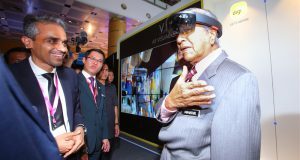 Celcom Axiata Berhad demonstrated its 5G technology trial yesterday, the first in Malaysia. The trial featured 5G Radio Prototypes from Ericsson, achieving a peak throughput up to 18Gbps (Gigabits per second) and latency as low as 3ms (milliseconds). 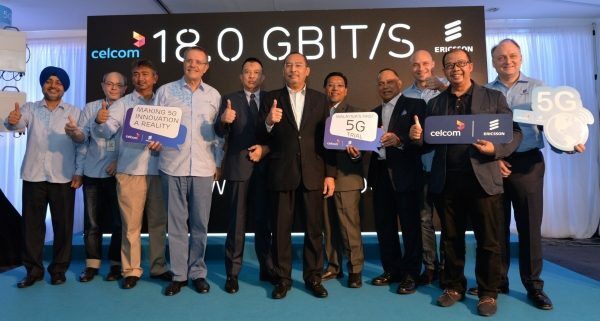 Ericsson Malaysia Sdn Bhd is one of the main network infrastructure partners for Celcom. Both companies signed a 5G memorandum of understanding (MoU) signed in Barcelona in February 2017. 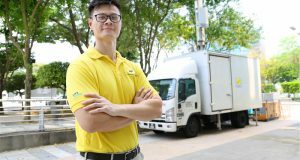 It is also the first 5G trial conducted on the 28GHz band in South East Asia. 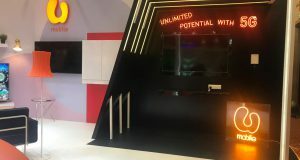 Celcom and Ericsson also demonstrated futuristic 5G use cases such as robotic control, connected environment, virtual reality, Internet of Things (IoT) applications and 4K video streaming over 5G – from video capture at the server end to playback on the 5G prototype device. 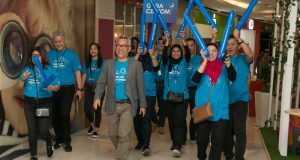 Late last month, Celcom announced its LTE-Advanced Pro network called Lightning Fast LTE that will involve the deployment of key technologies such as 4×4 multiple-input and multiple-output (MIMO) and 256 QAM (quadrature amplitude modulation) to provide users with data speeds up to 400Mbps (megabits per second). Celcom will offer its Lightning Fast LTE service from August 2017 onwards. In the near future, Celcom will also deploy IoT (Internet of Things) to enable digital and connected living. Ericsson said the new capabilities of 5G span across several dimensions, including tremendous flexibility, lower energy requirements, greater capacity, bandwidth, security, reliability and data rates, as well as lower latency and device costs. The first generation mobile network (1G) was all about voice. 2G was about voice + texting. 3G was about voice + texting + data. 4G was everything in 3G but faster. 5G will be something totally different. Ericsson 5G Radio Prototypes pack 64 radio chains, advanced beamforming and multi-user or MU-MIMO, into a compact, easy to deploy form factor, the size of a carry-on luggage.